Wednesday 2nd March 2016, 6:30 pm. Our natural human desire is to connect with other people and seek out a sense of belonging, people need to feel supported. Those that don’t feel supported in the workplace don’t stay around for long or if they do, they are unmotivated and unhappy. In a time where organisational structures are flattening and workforces are fluid, supporting and connecting people is more important than ever, this is where communities of practice come in. Communities of practice have a number of valuable benefits including: accelerating professional development; breaking down organisational silos; enabling knowledge sharing and management; building better practices; helping with hiring and retention of staff, and making people happier. In this session, Emily will explore the benefits and share techniques that work from her own experiences of building and growing communities of practice at organisations like Government Digital Service and her research for her book "Building Successful Communities of Practice: Discover How Connecting People Makes Better Organisations". 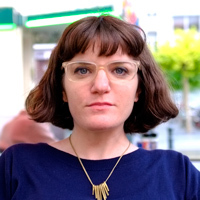 Emily Webber is a London-based independent agile and lean consultant with her company Tacit. She works with organisations in both the private and public sector to help with their agile transformations and to develop their agile capability for sustainable change. She was previously at Government Digital Service where she was the Head of Agile Delivery, leading the team of Agile delivery professionals that deliver services for citizens. Emily is passionate about agile, communities, organisational learning and skills development. She co-runs a meet-up called Agile on the Bench agileonthebench.com, blogs at emilywebber.co.uk and has a weak spot for vintage scooters.